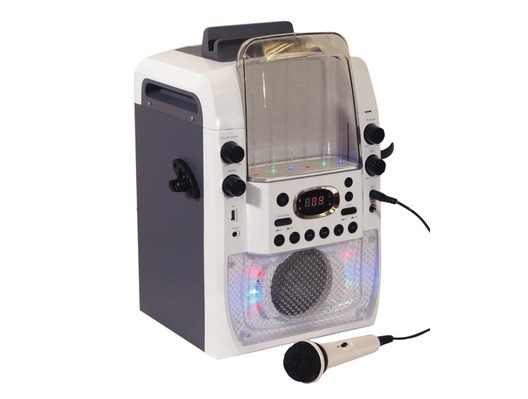 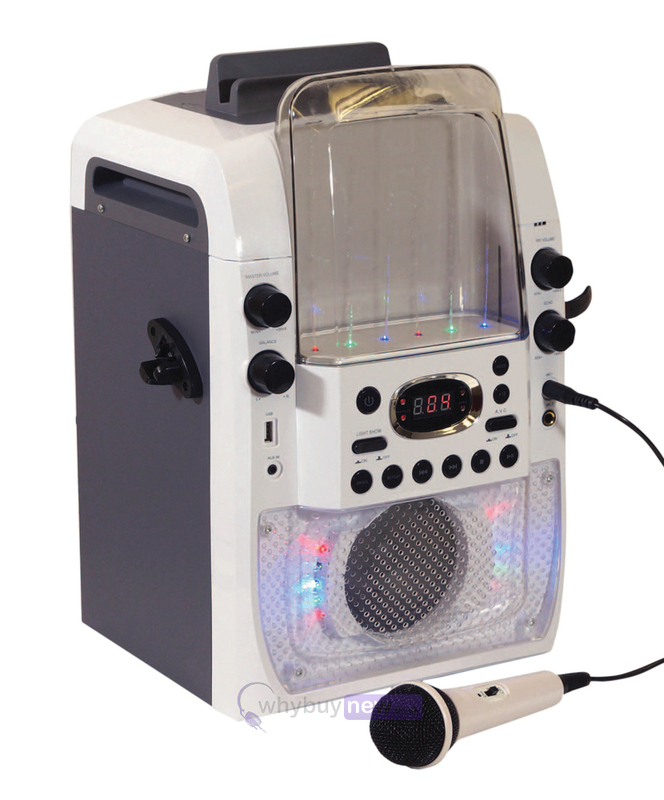 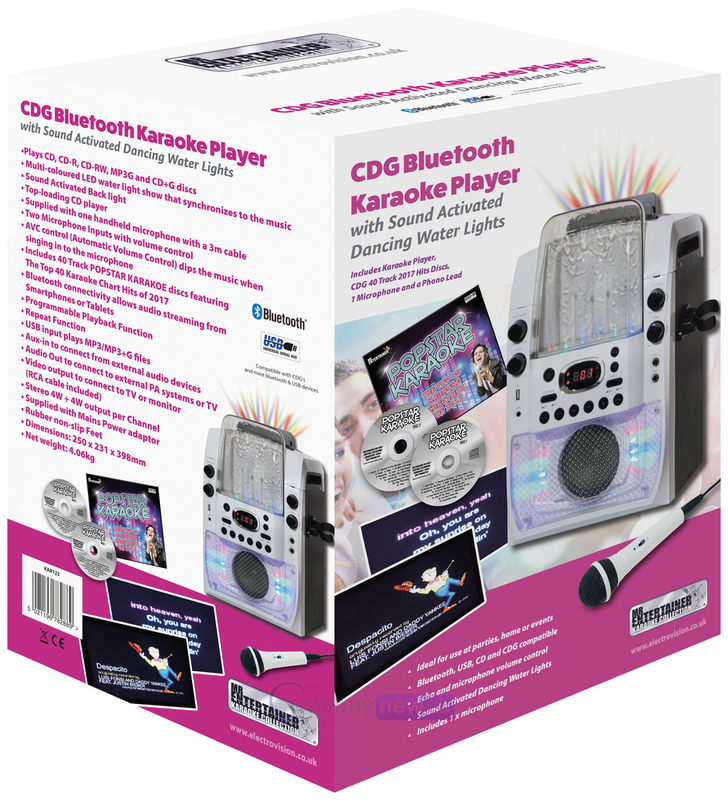 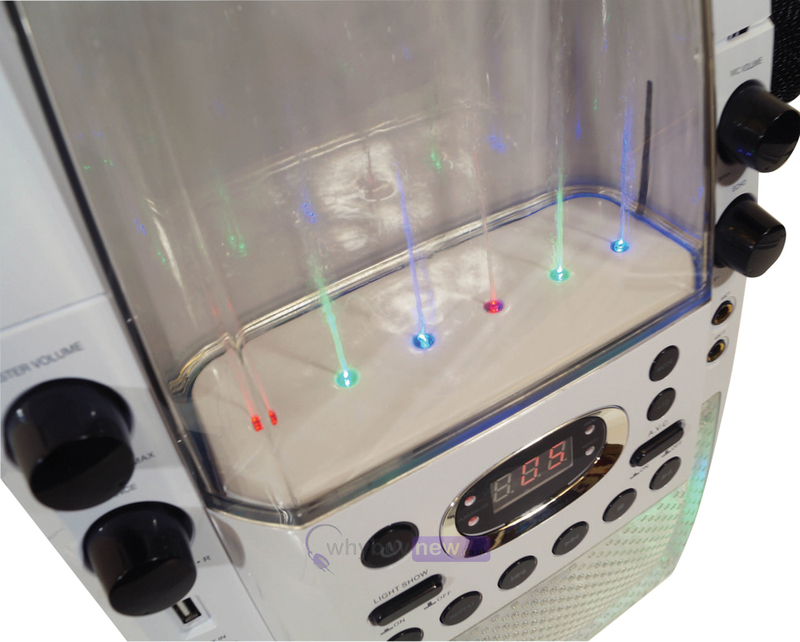 This Mr Entertainer CDG Karaoke Machine is Bluetooth compatible with multi-coloured LED dancing water lights that move in time with the music and back lights that illuminate the room, adding to the party atmosphere. 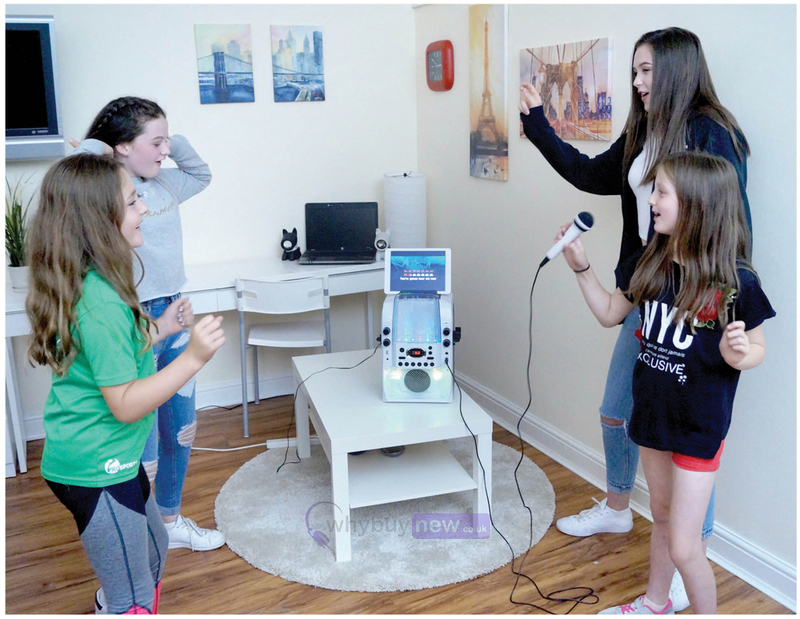 This brilliant value karaoke machine is great for house parties or family get-togethers and comes with a wired handheld microphone and one 40 track CDG with the biggest hits from 2017. 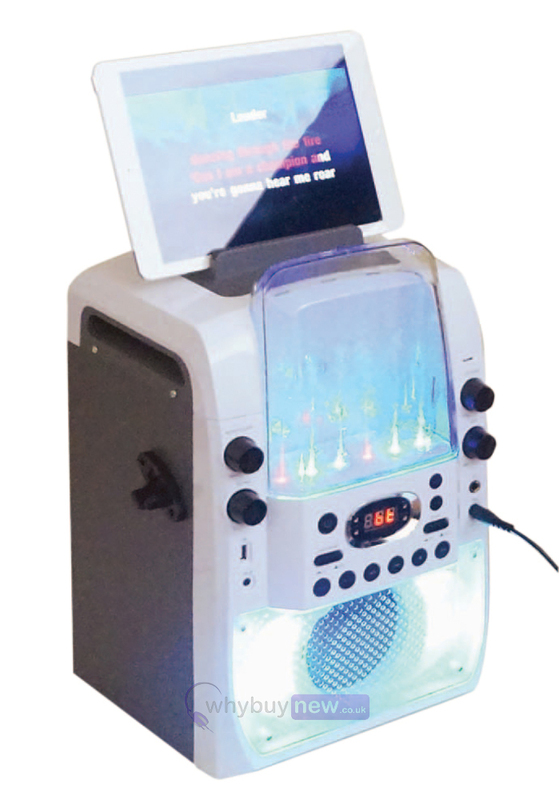 The karaoke machine streams songs from Smartphones or tablets via Bluetooth and also plays CD, CD-R, CD-RW, MP3G and CD+G discs.